Some clouds. Low near 55F. Winds SSE at 5 to 10 mph.. Some clouds. Low near 55F. Winds SSE at 5 to 10 mph. 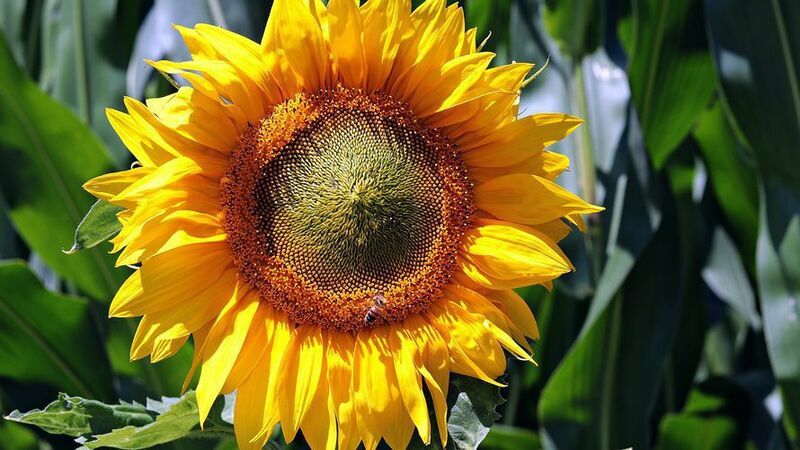 One Seed Pima County: Saving Sunflower Seeds — Joel D. Valdez Main Library, 101 N. Stone Ave. Tucson gardener, Brandon Merchant will discuss the Black Russian Sunflower. Pointers for growing these cheery flowers and discuss best practices for properly saving seeds from your Black Russian Sunflowers. 10 a.m.-noon. April 27. 791-4010. HOME AND GARDEN. Friday Fun Knitters — Foothills Mall Food Court, 7401 N. La Cholla Blvd. Knit or crochet while making new friends. All skill levels welcome. 10-11:30 a.m. April 21. 743-5273. Mission Garden — 946 W. Mission Lane. A living agricultural museum of Sonoran Desert-adapted heritage fruit-trees, traditional heirloom crops, and edible native plants. 8 a.m.-noon. April 24-27. Donations accepted. 955-5200. Garden Tours — Pima Co. Cooperative Extension, 4210 N. Campbell Ave. Master Gardeners are having free guided tours at the garden. Children under 18 must be accompanied by an adult. 9-10 a.m. April 24 and 27. 626-5161. Agave Heritage Festival Live Demonstration: Agave Roasting and Fiber Crafts — Mission Garden. Watch us fire up the roasting pit and prepare of agave hearts to be roasted. Watch an agave fiber crafts demo, showing how to extract fiber from agave leaves and make twine that can be used to make many products. There will also be a mescal tasting. 5:30-7:30 p.m. April 25. $45. 955-5200. Yarnivores — Murphy-Wilmot Public Library, 530 N. Wilmot Road. Bring a brown-bag dinner and join a group devoted to yarn art. 6-7 p.m. April 25. 594-5420. Traditional Technologies — Mission Garden. Preservation Archaeologist Allen Denoyer gives a hands-on opportunity to learn about prehistoric technologies. Come and experiment with making or using the kinds of tools archaeologists find in Tucson-area excavations, including projectile points, ground stone, atlatls and more. 9 a.m.-1 p.m. April 27. Donations accepted. 955-5200. One Seed Pima County: Saving Sunflower Seeds — Joel D. Valdez Main Library, 101 N. Stone Ave. Tucson gardener, Brandon Merchant will discuss the Black Russian Sunflower. Pointers for growing these cheery flowers and discuss best practices for properly saving seeds from your Black Russian Sunflowers. 10 a.m.-noon. April 27. 791-4010.